Results of the EMPA-REG OUTCOME trial (1) have captured the attention of endocrinologists and cardiovascular physicians worldwide. The reason for this is that the use of empagliflozin, the sodium glucose cotransporter 2 (SGLT2) inhibitor investigated in the EMPA-REG OUTCOME trial, was associated with improved cardiovascular outcomes i.e. death from cardiovascular causes, nonfatal myocardial infarction, or nonfatal stroke. This is the first time that a study of antidiabetic agents reports improved clinical outcomes beyond microvascular variables. 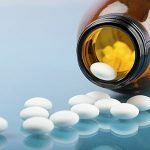 The reasons for the improved outcome are currently been discussed but it looks as that the glucosuric effect of the SGLT2 inhibitor could have resulted in blood pressure lowering, which has been shown in many studies previously to improve cardiovascular outcome. In the EMPA-REG trial, empagliflozin caused a reduction in weight, waist circumference, and both systolic and diastolic blood pressure. As a group, the SGLT2 inhibitors (i.e. empagliflozin, dapagliflozin and canagliflozin), reduce renal glucose reuptake, which lowers serum glucose and decreases blood pressure. The effects of these agents on blood pressure and weight, in addition to their glucose lowering actions, make them potentially attractive to cardiovascular physicians dealing with increased cardiovascular risk in diabetes. It remains to be seen, however, if the results of this important study (1) are enough to place SGLT2 inhibitors among established drug such as statins, aspirin, and ACE inhibitors, documented to improve cardiovascular outcomes. My impression is that there is a long way to go before these agents can be considered “established” therapy for reducing cardiovascular risk in patients with diabetes and some of the “barriers” they may encounter have been discussed in a recent article in Medscape (2). SGLT2 inhibitors however, based on the EMPA-REG OUTCOME trial results, represent a major advance in the battle to improve cardiovascular prognosis in diabetes and their development will most certainly be followed with extreme interest by the cardiovascular community.